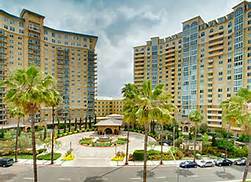 We’ll personally assist you in your search for assisted living communities in San Diego & vicinity. We’re familiar with virtually all of the board and care homes, assisted living, and senior living communities in San Diego. We’re independent advisors dedicated to providing you with recommendations that are completely unbiased. We’ll help you to focus on the San Diego assisted living options that best match your needs and preferences. Spend hours talking to various family advisors (assuming you can reach them), and then wait to receive their letters which are often just long, non-personalized lists of communities. 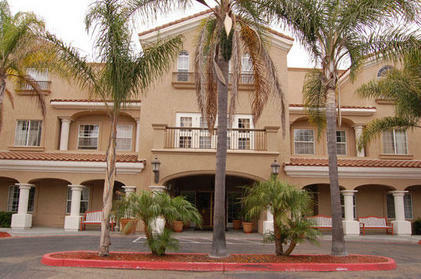 Located in the La Jolla area, this facility accepts long-term care insurance, private pay, and veterans' benefits. Staff is available on call 24 hours per day, seven days per week. 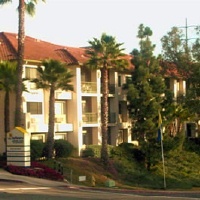 In the event of medical emergencies, the facility is conveniently near the Scripps Memorial Hospital La Jolla, giving both seniors and families comfort-of-mind in the unfortunate event something happens.Each room at the facility has an emergency call system, allowing residents to ask for help in the event of an emergency that requires immediate attention. Smoke alarms are installed in every room in the event that a fire breaks out. This facility also offers specialized care for Alzheimer's disease in the form of Alzheimer's Memory Care. As far as services provided go, Sunrise of La Jolla offers designated care managers that are trained to help with each individual's specific needs. In addition, the facility also offers a team of housekeeping, culinary, and activities managers to help consistently maintain the highest level of comfort for seniors. Private bathrooms are available in every apartment, and the apartments are designed to be spacious enough to give residents plenty of room. There are also beauty and barber shop services available, as well as personal care services. 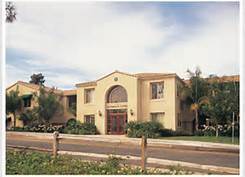 For seniors who are able to get out and see the sights, the facility is located near the La Jolla Country Club. In addition, there are a number of shopping locations and restaurants in the area to choose from. The facility is also located in an area that provides seniors with amazing views of the Pacific Ocean. There is scheduled transportation available for seniors who are physically able to go out and partake in these various activities. For personal entertainment, the facility has basic cable available in every room. To further help provide comfort for residents, special dietary menus are available at the facility. This means that if a resident requires a specific type of diet, Sunrise of La Jolla will likely be available to accommodate them. The staff has been trained to deal with residents who require many different types of specialized needs to make it through each day. For residents who enjoy being social, the facility has both a nice dining room and a formal living room where they can interact with other residents at the facility. For seniors who are physically still capable of living mostly independently, independence is encouraged at Sunrise of La Jolla. At the same time, residents who need help will not be brushed off to the side, but will instead receive all the help they need. As far as meals at the facility go, there is a wide variety for residents to choose from. The chefs employed by the facility have received special training to prepare healthy meals. There are a number of dining rooms residents can visit that can hold many people at once. Some of these dining rooms even offer outdoor tables for residents to take advantage of when the weather is nice. In addition, residents have the option of taking meals back with them to their rooms. If they want, residents can have family members and other visitors join them for meals. For residents who are unable to make it to the dining rooms (or who just want to eat in), the facility also offers room service at no extra charge. ** Whether1 it be this La Jolla community, or some other local community or facility, Assisted Living San Diego will be happy to assist you with senior living placement services for La Jolla CA and the surrounding areas in any of the following categories: La Jolla assisted living residential placements, La Jolla senior living placements, La Jolla board and care homes, senior living advisors in La Jolla CA, senior living communities in La Jolla CA, board and care in La Jolla CA, La Jolla assisted living facilities, La Jolla assisted living communities, senior care in La Jolla CA, assisted living placements for La Jolla CA, and Alzheimer's care in La Jolla CA. Garden Park Villas Escondido is located in Escondido, CA. It serves as both a general assisted living care facility and a special memory care facility for residents who are dealing with various forms of Dementia, including Alzheimer’s. The facility is designed to emphasize a natural look, sporting large, open courtyards and gardens. Inside the facility, it is designed to provide enough space for residents and visitors to feel like they have a lot of space, instead of feeling cramped together in a small area. A healthy lifestyle is encouraged at the facility, and all the assisted living services you would expect are available. In addition to all of those services, Garden Park Vilas Escondido also has a number of amenities for residents to take advantage of. For example, there is a TV and media room where residents can gather together to watch television. In addition, the facility houses two movie theaters. There is also a spa for residents to relax in. The facility has three community dining rooms, and each has their own separate private dining rooms. For relaxing social gatherings, the facility has coffee lounges and a living room. For a bit of fun, there is a game room in the facility. If any residents have a creative side to them, the facility also has a crafts room. Residents who are concerned about their appearance can stop by the beauty and barber shop. ** Whether it be this Escondido CA community, or some other local community or facility, Assisted Living San Diego will be happy to assist you with senior living placement services for Escondido CA and the surrounding areas in any of the following categories: Escondido assisted living residential placements, Escondido senior living placements, Escondido board and care homes, senior living advisors in Escondido CA, senior living communities in Escondido CA, board and care in Escondido CA, Escondido assisted living facilities, Escondido assisted living communities, senior care in Escondido CA, assisted living placements for Escondido CA, and Alzheimer's care in Escondido CA. 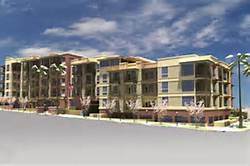 There are over 55 apartments at Casa Aldea at University City Village, which is located in the Clairemont area. The facility is designed to feel more like a resort than an assisted living facility, offering amenities such as a movie theater, a clubhouse, a pool, a spa, a golf course, a fitness center, and much, much more. Meanwhile, for residents who prefer a more quiet and relaxing experience, there are a number of libraries also available at the facility. At the same time, the facility does still offer services that you would expect from an assisted living facility. For example, the staff is available 24 hours, seven days per week. In addition, each apartment at the facility has an emergency call system in place that residents can use in the case of an emergency. There are also surveillance cameras setup in the common areas so staff can be alerted immediately if there is a situation that requires swift response. Rooms also have walk-in oversized showers to make it easy for residents to clean themselves. Air conditioning is available to help keep residents comfortable in the hot San Diego weather, and each unit has a washer and drier for cleaning clothes. ** Whether it be this Clairemont CA community, or some other local community or facility, Assisted Living San Diego will be happy to assist you with senior living placement services for Clairemont CA and the surrounding areas in any of the following categories: Clairemont assisted living residential placements, Clairemont senior living placements, Clairemont board and care homes, senior living advisors in Clairemont CA, senior living communities in Clairemont CA, board and care in Clairemont CA, Clairemont assisted living facilities, Clairemont assisted living communities, senior care in Clairemont CA, assisted living placements for Clairemont CA, and Alzheimer's care in Clairemont CA. In addition to providing normal assisted living care services, this facility also offers special care services for various forms of Dementia, including Alzheimer's. Some of the basic services included at the facility help residents with daily life. These include helping them bathe, dress, groom, and more. The staff is on-call 24 hours per day, seven days per week. They are specially trained to deal with all types of different specialized care that residents may require, including memory care. Independence at the facility is encouraged for residents who are capable of it, but the staff will provide all residents with any help they need. For memory care services, the facility allows residents to bring with them items that they are familiar with to help them from feeling too lost in their new surroundings. The facility also offers a wellness program that includes healthy meals prepared by the staff, as well as the opportunities for social interactions. In addition, the staff will provide continued communication with family members to keep them updated on the status of residents with Dementia and other memory issues. There are life enrichment programs also in place to help give residents dealing with memory issues a sense of accomplishment, and to help keep their minds stimulated. Some of the other services offered include helping residents manage their medications. In addition, for specific types of health care conditions that need continued monitoring, the staff is trained to monitor them and see if the conditions worsen. Meals are prepared to be healthy and nutritious, and residents who have special diet needs can be accommodated for. For residents who need to go to a doctor's appointment, transportation is provided. If residents end up needing to stay in a hospital for an extended time, or if a resident undergoes surgery, the facility offers post-hospital and post-surgery services. IV services are also available for residents who need them. Physical rehabilitation services are offered for residents who have suffered an injury, as are speech therapy services. In situations where residents will only be staying temporarily instead of permanently, respite services are offered, as well. ** Whether it be this San Diego community, or some other local community or facility, Assisted Living San Diego will be happy to assist you with senior living placement services for San Diego CA and the surrounding areas in any of the following categories: San Diego assisted living residential placements, San Diego senior living placements, San Diego board and care homes, senior living advisors in San Diego CA, senior living communities in San Diego CA, board and care in San Diego CA, San Diego assisted living facilities, San Diego assisted living communities, senior care in San Diego CA, assisted living placements for San Diego CA, and Alzheimer's care in San Diego CA. At Belmont Village of Sabre Springs, both general assisted living care and specialized care for various forms of Dementia, including Alzheimer's, are available. The staff at the facility tend to encourage independence if residents are physically capable of it, but will provide assistance if needed. The facility is in an area with lots of wide open space around it, giving residents a nice view of the natural surroundings. There are walking trails around the facility for residents who are physically capable of using them, and the gardens are tended to so that they always appear lush and pleasing to the eye. As far as general assisted living services go, Belmont Village at Sabre Springs has most of what you would expect from an assisted living facility. The staff is available 24 hours a day, seven days a week. In addition, there is always a licensed nurse onsite at the facility. In addition, the staff is capable of helping residents with managing their medicines. Staff will also help with daily living needs, such as bathing, grooming, dressing, eating, and so on. There is a dining room with a restaurant-like quality to it if residents don't want to eat in their rooms. Both private apartments and shared apartments are available. Transportation is available, and it is free of cost. For residents who will only be staying at the facility for a short time, short term care is also available. For residents who are dealing with Alzheimer's and other memory-related issues, there are a few things the facility does for them. One is having them engage in activities that keep their minds active and stimulated. These activities can be tailored to an individual's needs, which can vary depending on how far along the disease has progressed. Residents who have a form of Dementia live in a separate part of the facility known as “The Neighborhood.” That way, they can get the special attention they need, while lowering the risk of hurting themselves or the other residents. The staff that works in this section of the facility has been specially trained for dealing with memory-related diseases. ** Whether it be this Sabre Springs community, or some other local community or facility, Assisted Living San Diego will be happy to assist you with senior living placement services for Sabre Springs CA and the surrounding areas in any of the following categories: Sabre Springs assisted living residential placements, Sabre Springs senior living placements, Sabre Springs board and care homes, senior living advisors in Sabre Springs CA, senior living communities in Sabre Springs CA, board and care in Sabre Springs CA, Sabre Springs assisted living facilities, Sabre Springs assisted living communities, senior care in Sabre Springs CA, assisted living placements for Sabre Springs CA, and Alzheimer's care in Sabre Springs CA. 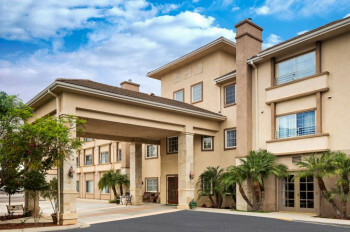 Located in Oceanside, Fairwinds-Ivey Ranch is a three-story facility that is designed to look less like an assisted living facility and more like a resort. There are dining services, various activities, and fitness programs, among other things available at the facility. At the same time, there are still assisted living services provided as needed, though the staff will allow and encourage independence for those residents who are still capable of it. One-bedroom and two-bedroom apartments are available at the facility. The staff at the facility is available on call 24 hours per day, seven days per week. In addition, there is electronic monitoring of residents to allow the staff to immediately respond to situations that require quick action. There is also an emergency response system in place in all apartments, with the staff checking in on residents daily to ensure that they are well. For residents who need help with personal care, the staff will provide it. This includes cleaning, grooming, and dressing. In addition, housekeeping is available, so residents will not have to keep their apartments clean themselves if they are not capable of doing it. Staff will also help residents by monitoring their medication for them. If a resident needs to head to a doctor's appointment, or if residents want to visit someplace outside of the facility, there is a passenger bus available that can sit up to 25 people at a time. Some of the other features residents can expect while staying at Fairwinds-Ivey Ranch include a dining room, a theater, cable television, private bathrooms, private patios, step-in showers, dishwashers (in certain apartments), a library, a spa, and a game room. There are also lobbies and lounges for residents to gather in and socialize. Air conditioning is available to help keep residents cool in the warm San Diego climate. Handrails can be found along the halls for residents who have trouble walking on their own, or to help residents catch themselves if they lose their balance for any reason. If a resident is in a two-bedroom apartment, washers and dryers are typically available. ** Whether it be this Oceanside CA community, or some other local community or facility, Assisted Living San Diego will be happy to assist you with senior living placement services for Oceanside CA and the surrounding areas in any of the following categories: Oceanside assisted living residential placements, Oceanside senior living placements, Oceanside board and care homes, senior living advisors in Oceanside CA, senior living communities in Oceanside CA, board and care in Oceanside CA, Oceanside assisted living facilities, Oceanside assisted living communities, senior care in Oceanside CA, assisted living placements for Oceanside CA, and Alzheimer's care in Oceanside CA. Merrill Gardens at Bankers Hill is close to Balboa Park, and has a nice view of Mission Bay. For residents that are still able to get around outdoors, this can provide them with great opportunities to enjoy outdoor activities. Though primarily a retirement community, Merrill Gardens at Bankers Hill also offers assisted living services for those who need them. This includes managing medications, providing meals, and helping with many more types of activities that are part of daily life.Some of these activities include helping residents get dressed if they need it, providing transportation, and cleaning residents' apartments. The staff will also help residents get ready for bed, including helping them clean themselves. In addition, Merrill Gardens at Bankers Hill offers the opportunity for seniors to invite friends over for special occasions.If they are physically capable of it, seniors can also invite friends over for a social outing. As far as leisure activities are concerned, some that are offered at the facility include arts and crafts, bingo, a book club, bridge, movies, walking groups (for residents who are physically able to walk), live entertainment (which sometimes includes live music), dances, exercise classes, and much more. The facility also provides basic cable to residents' rooms, giving them plenty of television options to choose from. The facility is designed to function much like apartments would, and helps build a strong sense of community among its residents. Staff at Merrill Gardens is available on call 24 hours per day, seven days per week. In the event of an emergency of some type, all apartments at the facility have an emergency call system in place. This allows the staff to respond immediately to any situations that require fast response. Residents are able to have cats and/or dogs as pets, though those are the only two types of pets accepted. The facility only accepts private pay, and monthly rates run in the mid- $2000 range. In total, there are 84 apartments at Merrill Gardens, which means there are plenty of chances for residents to interact with each other. In addition to having one-bedroom apartments available, the facility also has two-bedroom apartments available. This allows residents to have the option of having an apartment to themselves, or to share an apartment with someone else. ** Whether it be this San Diego community, or some other local community or facility, Assisted Living San Diego will be happy to assist you in your search for with San Diego senior living placement services in any of the following categories: assisted living placements for San Diego CA, San Diego board and care homes, San Diego assisted living residential placements, senior living communities in San Diego CA, assisted living facilities in San Diego CA, board and care in San Diego CA, senior living advisors in San Diego CA, San Diego assisted living communities, senior living placements for San Diego CA, San Diego senior care, San Diego Alzheimer's care. 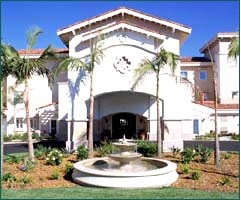 Located in Carlsbad, La Costa Glen is a long-term care facility where independence is encouraged for those still physically capable of it, yet assisted living services are offered for those who need them. The staff at the facility has been trained to specifically provide assisted living services. As for services for residents staying at the facility, the staff is available 24 hours per day, seven days per week. In addition, each room contains an emergency call system that is available 24 hours per day. That way, staff can respond in a timely manner should emergency services be required for any resident. The staff will help with day-to-day living for residents who need it, including helping with cleaning, grooming, and dressing. Each room has smoke detectors, and there are sprinklers to help in the event of fire. Overall, the facility is under constant watch for fire. In addition, the facility is guarded 24 hours per day, seven days per week, ensuring that residents inside are protected from anyone from the outside who may want to hurt them. Transportation is available that can take residents to places for worship, shopping trips, special events, and appointments. There are also flat linen laundry services available each week. 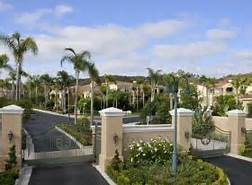 La Costa Glen also offers a number of amenities for residents to take advantage of. For example, there are two pools available, with one being an indoor pool and the other being an outdoor pool. There is also a movie theater for residents to watch movies in. The facility has five libraries, along with four dining rooms and a computer room. For the computer room, classes are available to help residents who may be unfamiliar with how to use computers. There is a tennis court for residents who are physically capable of using it. To help with grooming, the facility has two beauty salons and a barber shop. If residents just want to hang out and socialize with each other, there are six card rooms and lounges. Residents who have a creative side can take advantage of the arts and crafts studio. Cable television and high-speed Internet are available, though they cost extra. ** Whether it be this Carlsbad CA community, or some other local community or facility, Assisted Living San Diego will be happy to assist you with senior living placement services for Carlsbad CA and the surrounding areas in any of the following categories: Carlsbad assisted living residential placements, Carlsbad senior living placements, Carlsbad board and care homes, senior living advisors in Carlsbad CA, senior living communities in Carlsbad CA, board and care in Carlsbad CA, Carlsbad assisted living facilities, Carlsbad assisted living communities, senior care in Carlsbad CA, assisted living placements for Carlsbad CA, and Alzheimer's care in Carlsbad CA. 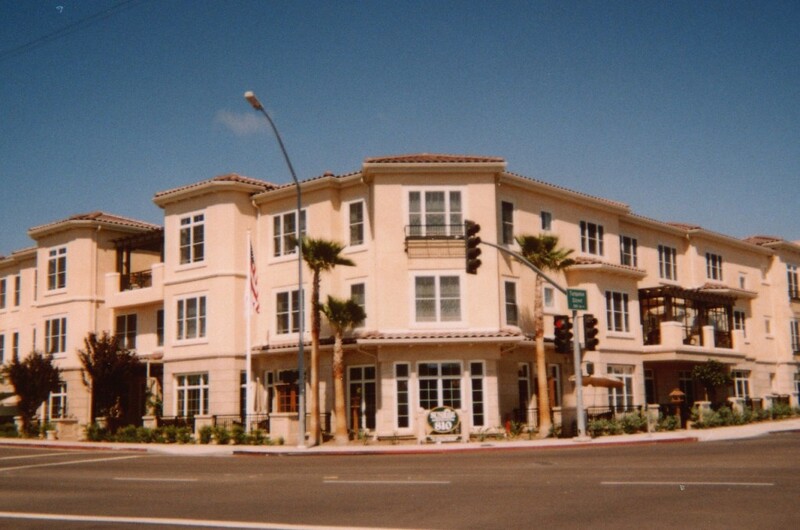 Vi at La Jolla Village is a large facility that allows for both independent living and assisted care living. In addition, it offers special care for those suffering from Alzheimer's. There are many different types of activities offered at the facility, as well as specially prepared meals. The facility offers one bedroom, two bedroom, two bedroom with a den included, and three bedroom plans, with more than 30 different floor plans to choose from. The facility is located close to several attractions that may be appealing to seniors who can still get around, including the San Diego Zoo and Balboa Park. In addition, there are a number of museums and performing arts facilities near the facility. There are also walking trails for seniors who are the outdoors type. For golf fans, the facility is close to the Torrey Pines Golf Course, which has been host to a number of major PGA Tour events, including the US Open. A swimming pool and hot tub are also available at the facility. ** Whether it be this La Jolla community, or some other local community or facility, Assisted Living San Diego will be happy to assist you in your search for with La Jolla senior living placement services in any of the following categories: assisted living placements for La Jolla CA, La Jolla board and care homes, La Jolla assisted living residential placements, senior living communities in La Jolla CA, assisted living facilities in La Jolla CA, board and care in La Jolla CA, senior living advisors in La Jolla CA, La Jolla assisted living communities, senior living placements for La Jolla CA, La Jolla senior care, La Jolla Alzheimer's care. Grossmont Gardens is a nine-acre garden community. While independence is encouraged for those residents who are still capable of it, the staff will provide assisted living services for those who need them. The experiences residents will have at the facility will vary, as the staff has been trained to cater specifically to the needs of each individual resident. 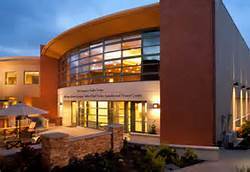 The facility is for both long-term and short-term care residents. When it comes to services, the staff at the facility is made up of trained nurses. The staff is available 24 hours per day, seven days per week. Residents who need help with daily needs can expect help with, among other things, cleaning, grooming, and dressing. Three meals are provided each day, with a dining room for residents to eat in, or the option to eat in their rooms. Custom diets are available for residents who have specialized dietary needs. There are physicians that are on-call 24-hours per day in the event that there is a situation that requires more than just the nursing staff. There is also a 24-hour emergency service call system in place, which is available in each room. Housekeeping services are available to help keep residents' rooms clean. Scheduled transportation is available for residents who wish to take trips outside of the facility. As for amenities, there are a number of them that residents can take advantage of. The facility has a library, a swimming pool, and a recreation room. In addition, the facility allows residents to bring pets. For residents who are concerned with their appearance, a beautician and barber are available at the facility. Cable is available for residents who do not want to just watch local television. Rooms on the ground floor have private patios, while rooms on the upper floors have private balconies. Each room also has air conditioning to make residents comfortable in the warm San Diego climate. Some rooms even have microwaves in them. To help make cleaning easier, each room has a step-in shower. In addition, some rooms have kitchens for residents who are still capable of cooking. ** Whether it be this La Mesa CA community, or some other local community or facility, Assisted Living San Diego will be happy to assist you with senior living placement services for La Mesa CA and the surrounding areas in any of the following categories: La Mesa assisted living residential placements, La Mesa senior living placements, La Mesa board and care homes, senior living advisors in La Mesa CA, senior living communities in La Mesa CA, board and care in La Mesa CA, La Mesa assisted living facilities, La Mesa assisted living communities, senior care in La Mesa CA, assisted living placements for La Mesa CA, and Alzheimer's care in La Mesa CA. 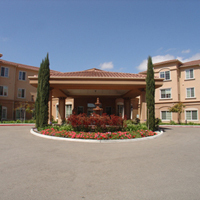 Emeritus at Clairemont is an assisted living facility. Although independence is encouraged for seniors capable of it, assisted living services are provided for seniors who need it. Some of this assistance includes help with bathing, dressing, and helping residents eat meals. In addition, interacting with the other residents is highly encouraged through special events, various activities, and joining clubs. The facility's staff is trained to provide special needs for seniors who need it, while also cooking meals for residents. Meals are designed to replicate experiences that you might have at restaurants. The staff at the facility is on-call 24 hours per day, seven days per week. For medical issues that arise, the facility also has a doctor on-call. This is a large facility, with 106 apartments on two floors. Monthly rent prices are moderate compared to other facilities, running in the low to mid $2000 range. However, the facility only accepts private pay. This is another facility that provides special care for residents who are suffering from the different forms of Dementia, including Alzheimer's. For patients with other types of terminal illnesses, hospice services are also available. There is also transportation provided for residents, such as when they have a doctor's appointment. Keep in mind, however, that this transportation does cost extra. In addition, the facility also offers rehabilitation services, such as helping residents recover from an injury, or helping residents regain their ability to speak. If a resident wants to bring a pet with them to the facility, dogs and cats are the types of pets accepted. No other types of pets are accepted. To further help keep residents staying at the facility healthy, the facility has a strict no-smoking policy in place. ** Whether it be this community in San Diego, or some other local facility or community, Assisted Living San Diego can help you with your search for senior living placement assistance in San Diego CA and the surrounding areas in any of the following categories: San Diego board and care homes, assisted living residential placements for San Diego CA, senior living communities in San Diego CA, senior living advisors in San Diego CA, San Diego assisted living placements, assisted living facilities in San Diego CA, board and care in San Diego CA, San Diego senior living placement service, San Diego assisted living communities, San Diego Alzheimer's care, and San Diego senior care. The Arbors at Rancho Penasquitos is located adjacent to the town of Poway. There are a total of 58 apartments at this facility. The facility has 31 studio apartments that have been designed specifically to house those who are suffering from various forms of Dementia, including Alzheimer's. The apartments include kitchenettes and private bathrooms. In addition, the facility allows (and actually encourages) residents to bring along furnishings and decorations from home to help make the apartment feel more like their own home. Some of the services offered at The Arbors at Rancho Penasquitos include spacious common living areas for residents to gather at and interact with each other socially. There are also smaller areas where residents can gather in smaller numbers to talk privately. The facility houses a dining room that is setup to feel like a restaurant. In addition, the facility has a library where residents can go to read, or to rent books to take back to their rooms. An activities room is available for residents who want to remain active during the day. For residents who are concerned with their appearance, there is a beauty salon available at the facility, as well. Also offered for each resident is telephone service, as well as cable television in their rooms. Other services offered at The Arbors at Rancho Penasquitos help residents with day-to-day life. For example, the facility offers three freshly prepared meals per day. There are also snacks available for residents who enjoy grabbing a quick bite to eat between meals. The facility also offers laundry services, as well as help with keeping rooms tidy on a daily basis. There are housekeeping and linen services available once a week. Transportation is available to help take residents to off-site activities, as well as take them to doctor's appointments. The staff at the facility is trained in helping residents manage medications, and can provide assistance with daily needs such as dressing, cleaning, and so forth. In the event of an emergency, each apartment has a 24-hour response system in their room that will allow the staff to immediately respond. Residents can also use this system if they simply need help from the staff with something, even if it is not an emergency. In the event a resident will not be staying permanently, the facility also offers respite (or short-term stay) care. ** Whether it be this Poway CA community, or some other local community or facility, Assisted Living San Diego will be happy to assist you with senior living placement services for Poway CA and the surrounding areas in any of the following categories: Poway assisted living residential placements, Poway senior living placements, Poway board and care homes, senior living advisors in Poway CA, senior living communities in Poway CA, board and care in Poway CA, Poway assisted living facilities, Poway assisted living communities, senior care in Poway CA, assisted living placements for Poway CA, and Alzheimer's care in Poway CA. Seacrest Village at Encinitas can be found in Encinitas, CA. While most residents here are Jewish, people of all religions are welcome. It is another assisted living facility that offers both general assisted living services and specialized services for those dealing with Alzheimer's and other Dementia-related issues. The facility is fairly big, covering around 10 acres. The natural elements of the surrounding area are emphasized, with patios, courtyards, gardens, and more giving residents stunning views of the surroundings. There are many assisted living services that the facility provides its residents. Staff at the facility is on-call 24 hours per day, seven days per week. They are trained to provide help for residents with daily needs, including cleaning, grooming, and dressing. In addition, there is also a 24-hour emergency response system in place in every apartment. In the case of an emergency, residents can use this to call on the staff, who can be there quickly to assist. Further helping with safety are the smoke detectors in every apartment and the sprinkler system in place. The bathrooms in the apartments are oversized, and all have a number of safety features in place. Staff is also available to provide weekly housekeeping and linen services for residents. The facility also offers personalize laundry service for each resident. There are a number of amenities for residents to take advantage of, as well. For example, the facility houses a library. There is also a coffee house for residents to meet in and relax. A beauty salon and barber shop are available for residents who are concerned with their appearance. Residents who enjoy spending time on the Internet will have access to WiFi. A number of specialized memory activities are available for residents with Dementia to help keep their minds stimulated. For residents who are still capable of using it, the facility has a fitness program in place to help keep residents physically fit. There is also chauffeured transportation for residents who have appointments or who want to do something offsite. Residents who are fans of golf can take advantage of the putting green at the facility. ** Whether it be this Encinitas community, or some other local community or facility, Assisted Living San Diego will be happy to assist you with senior living placement services for Encinitas CA and the surrounding areas in any of the following categories: Encinitas assisted living residential placements, Encinitas senior living placements, Encinitas board and care homes, senior living advisors in Encinitas CA, senior living communities in Encinitas CA, board and care in Encinitas CA, Encinitas assisted living facilities, Encinitas assisted living communities, senior care in Encinitas CA, assisted living placements for Encinitas CA, and Alzheimer's care in Encinitas CA. 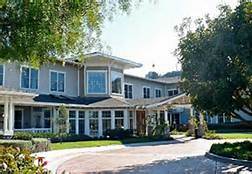 Regency at Fallbrook is an assisted living facility designed to provide general assisted living services, as well as services for Alzheimer's and other forms of Dementia. An assessment is conducted with the resident and/or family before the resident is moved in to help determine the specific needs of that individual. Further assessments are also conducted to ensure that each individual is continually provided the personalized care that they need. There are also amenities for residents to take advantage of. For example, the facility has a main living room where residents can gather to socialize. There is also a private dining room available for smaller gatherings. The facility houses a library, along with several activity rooms. Each apartment in the facility has wall-to-wall carpeting to make it comfortable for residents to walk on. Some apartments have kitchens in them for residents who are still able to cook. In addition, there are also washers and dryers for residents who are still capable of doing their own laundry. There are screened porches that residents can relax in to get a view of the beautiful landscape that surrounds the facility. The facility is also accepting of pets, allowing residents to bring dogs and cats less than 35 pounds with them to the facility. However, pets must be housetrained, and they must be approved by the Executive Director before being accepted. ** Whether it be this Fallbrook CA community, or some other local community or facility, Assisted Living San Diego will be happy to assist you with senior living placement services for Fallbrook CA and the surrounding areas in any of the following categories: Fallbrook assisted living residential placements, Fallbrook senior living placements, Fallbrook board and care homes, senior living advisors in Fallbrook CA, senior living communities in Fallbrook CA, board and care in Fallbrook CA, Fallbrook assisted living facilities, Fallbrook assisted living communities, senior care in Fallbrook CA, assisted living placements for Fallbrook CA, and Alzheimer's care in Fallbrook CA. 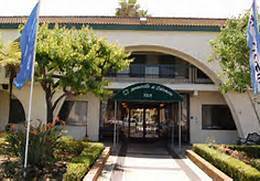 Both general assisted living services and specialized care for residents with dementia are available at Silvergate San Macros. Independence is encouraged at the facility for residents who are still capable of it, but assisted living services are offered for those who need them. There are around 100 apartments here, making this a fairly large facility. Staff at the facility encourages a warm and friendly atmosphere among residents, helping to make their stay a pleasant one. Among the services residents can expect while staying at Silvergate San Macros are specialized services for dementia, diabetes, and injuries. For residents who have terminal illnesses, hospice services are available, as well. The staff at the facility is available 24-hours, seven days per week. They provide help with day-to-day needs such as cleaning, grooming, and dressing. The staff also helps residents with managing their medications. Housekeeping services are provided so residents do not have to keep their apartments clean themselves. There are three meals provided each day, and specialized meals can be prepared for residents who have specific dietary needs. An emergency response system is in place that is available 24 hours per day, seven days per week, and is available in each apartment. In the event of an emergency, staff can arrive on the scene quickly. For residents who will only be staying for a short time instead of permanently, respite services are also available. Silvergate also provides plenty of amenities. There is a sauna, spa, and whirlpool available for residents to relax in. There is also a swimming pool for residents who are still able to use it. Cable and/or satellite television is available in each apartment. A beauty and barber shop is available for residents who are concerned about their appearance. The Internet is available for residents in each apartment. There is a library for residents to visit and check books out of. For residents who need or wish to go somewhere offsite, there is transportation available. Residents who have a creative side can visit the arts and crafts room. Guest lodging is available for residents who have someone visit them who will stay overnight (or for several days). ** Whether it be this San Marcos CA community, or some other local community or facility, Assisted Living San Diego will be happy to assist you with senior living placement services for San Marcos CA and the surrounding areas in any of the following categories: San Marcos assisted living residential placements, San Marcos senior living placements, San Marcos board and care homes, senior living advisors in San Marcos CA, senior living communities in San Marcos CA, board and care in San Marcos CA, San Marcos assisted living facilities, San Marcos assisted living communities, senior care in San Marcos CA, assisted living placements for San Marcos CA, and Alzheimer's care in San Marcos CA. 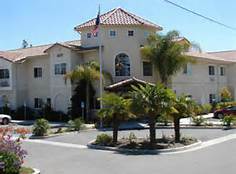 Sunrise at Bonita is an assisted living facility in the Chula Vista, CA area. In addition to offering general assisted living care, the facility also offers special care for Alzheimer's and other memory-related issues. Residents are encouraged to live as independently as possible at the facility, yet help is always there should they need it. There are also amenities offered at Sunrise at Bonita. Residents who enjoy reading can spend some time at the facility's library. A beauty and barber shop is housed at the facility where residents can go to get their hair done, along with other types of grooming. Those residents who enjoy socializing can gather together at the facility's indoor and outdoor common areas. Exercise programs allow residents to get in some exercise. For residents who enjoy activities that encourage creativity, there are arts and crafts activities for them to take part in. Small dogs and cats are allowed as pets as long as they are first approved by the facility's management. Cable television is installed in each apartment for those residents who enjoy watching TV. ** For all these areas mentioned above, The Assisted Living Network will be happy to assist you in finding Chula Vista senior living options in any of the following categories: board and care homes in Chula Vista, Chula Vista senior care, assisted living communities in Chula Vista CA, nursing homes in Chula Vista, Chula Vista senior living communities, Chula Vista board and care, Chula Vista assisted living facilities, Alzheimer's care in Chula Vista, and senior living in Chula Vista, senior care facilities in Chula Vista CA.